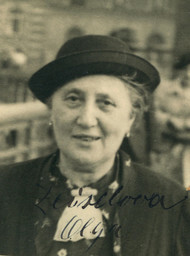 The name of Fredy Hirsch is inseparably connected with the education of children and young people in the Terezín ghetto, and finally in the family camp at Birkenau. In particular, the children's block, established on Hirsch's initiative in the BIIb section of the Birkenau camp, was a remarkable attempt to create a small oasis within the death camp. Its main purpose was to ensure that Auschwitz's youngest prisoners had, at least for a short while, a more tolerable environment in which they would be isolated from the tragic reality around them. Hirsch's strong ties to scouting and Zionist ideals began to be formed in his early childhood in Aachen. As boys, he and his brother Paul, two years his elder, were active in the leadership of the Jüdischer Pfadfinderbund Deutschland (JPD, the German Jewish scouting movement) which was close to the Jewish sporting organisation Maccabi Hatzair. After Hitler came to power, the Hirsch family went different ways. 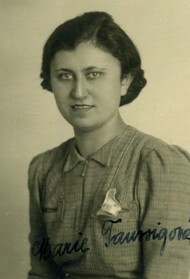 Fredy's brother Paul and his mother Olga, together with her new husband (Fredy's father had died in 1926) went to Bolivia, while Fredy, an ardent Zionist, remained in Germany. He was only willing to seek a new home if it was in Palestine. In 1933 he left Aachen, working for some time as the head of the JPD in Düsseldorf. 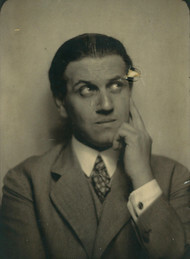 The following year he moved to Frankfurt am Main, and then in 1935 he emigrated to Prague, like many other German Jews. Those who knew Fredy Hirsch remember him as he can also be seen in his photos - a well-built, attractive young man with the upright posture of an athlete, his hair elegantly slicked back. On arriving in Czechoslovakia he lived first in Ostrava , then in Brno and from 1939 in Prague. He devoted himself to work with young people, sports training and preparing halutzim (pioneers; link in Czech) for aliya (link in Czech) to the Promised Land. Until 1940 he organised summer scout camps near the village of Bezpráví on the Orlice river. 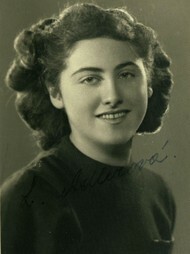 In Prague, Hirsch led a group of boys aged 12-14, called Havlaga. In October 1939, at the last minute, the group managed to leave for Denmark, a year later moving to Palestine. Hirsch's name is also connected with the Hagibor playground in the Strašnice district of Prague. Following a number of anti-Jewish decrees and bans issued under the Protectorate, the playground became one of the few places where Jewish children were still allowed to play in the open air and do sport. Hirsch organised sports, competitions, camps and theatre productions for hundreds of children there, spreading among them the ideals of teamwork, responsibility and physical prowess. 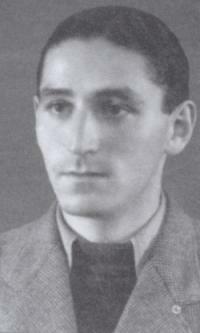 Fredy Hirsch arrived in Terezín on 4 December 1941 as part of a team called the Aufbaukommando II, consisting of Hirsch and 22 other employees of the Jewish community who had been given the task of organising life in the newly-created ghetto. From the start of the ghetto's existence, special rooms were created for children, who lived apart from their parents. Later they were transformed into the heims - around eleven children's houses where a number of carers and teachers devoted themselves to the children's semi-legal education. Fredy Hirsch, Egon Redlich and Bedřich Prager were in charge of looking after the young people. Hirsch and the other carers tried to improve the living conditions of the children in the ghetto in whatever way they could. Hirsch insisted that the children must exercise every day and pay attention to personal hygiene in order to maintain their psychological and physical condition, for in this lay their only hope of survival. The fact that Hirsch came from Germany, and his self-confident manner, meant that some SS members had a certain degree of respect for him. He thus managed to gain space for a playground, where in May 1943 the Terezín Maccabi Games took place. Hirsch also gained the ability to have individuals taken off the planned transports to the east, and often made use of this to benefit children. In summer 1943 a transport of 1,200 Jewish children from the liquidated ghetto in Białystok arrived in Terezín. 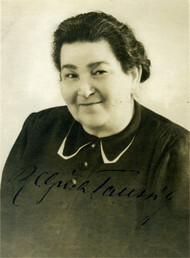 They were kept isolated from the other Jews in Terezín, and a strict ban on communication with them was announced. Nevertheless, Fredy Hirsch managed to make contact with their carer. 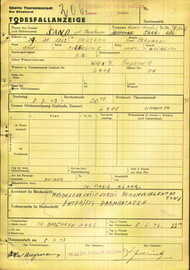 He was caught, and as punishment was included on the transport that left for the family camp in Auschwitz-Birkenau on 6 September with 5,000 prisoners. The 5,000 deportees, mostly Czech Jews, included approximately 300 children aged 15 and under. It was very unusual for there to be any children at Birkenau at that time, since most of them were murdered as soon as the transport arrived. In addition to the Terezín family camp, however, there were also children in the gypsy camp. Thanks to Hirsch's ability to negotiate with the Nazi commanders (he always took care to look well-presented and have clean boots) he managed to reserve one of the wooden buildings in the family camp for the children's block. He then gave up his advantageous position as a lagerkapo and became the head of the children's block. The block was furnished differently from the most of the other prisoners' buildings at Birkenau. Instead of three-level bunk beds it had little tables at which the children sat - since the children only spent the day here, returning to their families at night. The walls inside the building were decorated with pictures of Snow White and the Seven Dwarfs, Eskimos, flowers and fairytale characters. The children spent most of the day in block 31. They ate here, and in addition to soup, other food was obtained for them from parcels that had arrived at the camp but whose addressees were already dead. Although the children naturally suffered from hunger, none of them died of malnutrition before the prisoners from the September transport were murdered in March. The children were also protected from the otherwise omnipresent reign of terror of the SS officials. Other positive features of the children's block were that the daily roll-calls were short and took place within the building itself, rather than taking place outside and lasting several hours - particularly cruel in frost and rain - as was the case with the adult prisoners. Children in the block had secret, improvised lessons, taught in small groups according to age. If an SS patrol was approaching, the lessons quickly turned into games, or the children started to sing German songs, which were allowed. For the carers, too, working in the children's block had a certain advantage: an intellectual environment, and under a roof too, which made it easier for them to keep themselves in relatively good psychological and physical condition. The teachers would tell the children the content of books that they remembered. They taught them geography, history, played games with them and sang with them. In late 1943 and early 1944 the children also rehearsed and performed a production of Snow White and the Seven Dwarfs. It was attended by SS men, including Dr. Mengele, who applauded the children enthusiastically, had them sit on his knee and asked them to call him Uncle. After the arrival of the December transports there were around 500 children in the block, and Hirsch managed to gain a further building for the children. 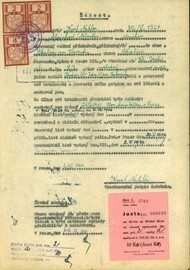 As the September transport neared the end of its six-month quarantine period towards the end of February 1944, members of the camp's resistance movement contacted Fredy Hirsch. 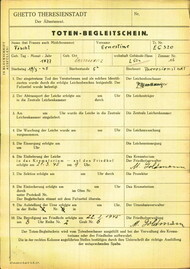 They knew that the word Sonderbehandlung, written on the identity card of each prisoner in the family camp, actually meant death in the gas chamber. 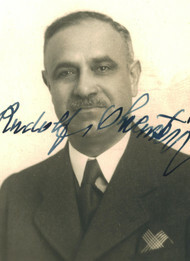 In Fredy Hirsch, who enjoyed natural authority among the prisoners, they saw a potential leader of the planned uprising. 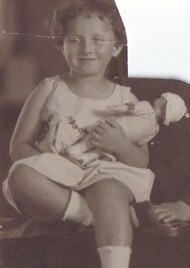 Hirsch found himself facing a difficult decision: a rebellion would mean the chance to kill several SS men and a slim chance of possible escape for a handful of prisoners, but also certain death for the great majority of prisoners in the family camp, and without a doubt, certain death for all the children. 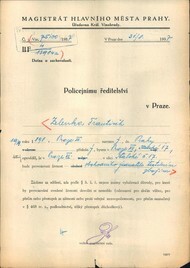 On the morning of 8 March he discussed the issue again with Rudolf Vrba, who was connected to the Auschwitz resistance movement. Vrba visited him and told him there was no doubt that the whole transport was heading for the gas chambers. Hirsch asked for an hour to decide. An hour later, Vrba found him unconscious. A doctor stated that he had taken an overdose of tranquillizers. That evening, Fredy Hirsch's body was burned in the Birkenau crematorium, together with the remains of the 3,792 murdered prisoners of the Terezín family camp. There is still speculation as to what happened in the final minutes of his life. It is not entirely clear how he managed to obtain a fatal dose of medicine, nor whether it was truly suicide. Before his death, Hirsch appointed his successors as the heads of the children's block - Seppl Lichtenstern and Jan Brammer. Selected articles from The Terezín Family Camp in Auschwitz-Birkenau. (In Czech). 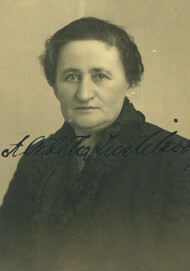 Ondřichová, Lucie. Příběh Fredyho Hirsche (The Story of Fredy Hirsch). Praha: Institut Terezínské iniciativy, 2001, p. 113. 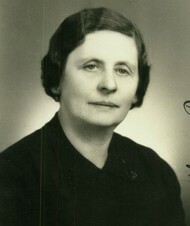 Bondyová, Ruth. Dětský blok v rodinném táboře (The Children's Block in the Family Camp). 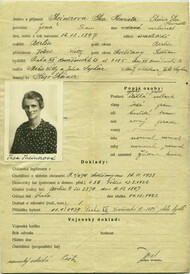 Praha: Terezínská iniciativa, 1994, in: Terezínský rodinný tábor v Osvětimi-Birkenau (The Terezín Family Camp in Auschwitz-Birkenau). Kraus, Ota B. Můj bratr dým (My Brother Smoke). Praha: Panorama, 1993, p. 165.